Deck the Halls! 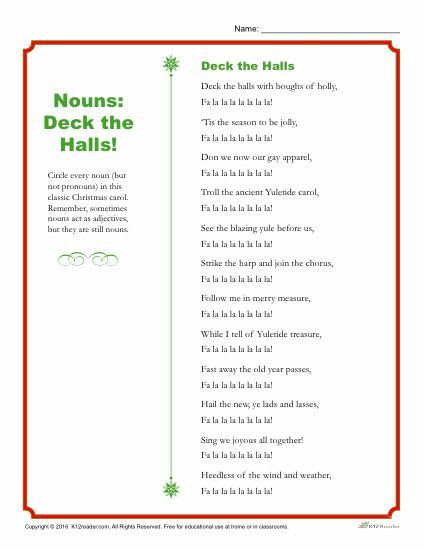 Circle the nouns in this classic Christmas carol. Remember, some nouns act as adjectives, but they are still nouns. This worksheet is a great way to keep students engaged and having fun as they learn about nouns. Ideal for 3rd-4th Grade, but can be used where appropriate.